You found some great products, bought them, priced them, labeled them, and sent them off to Amazon. Now what do you do? Of course you go out and look for even more inventory, but how often do you think about the prices of your inventory that’s sitting in a FBA warehouse? Prices in brick-and-mortar stores change all the time, and this is equally true with Amazon. As time goes by, your inventory will both gain and lose competition. Other FBA sellers will possibly undercut your sale price, while other sellers might sell out of an item. Just because you priced your item competitively three months ago doesn’t mean that it’s still priced to compete right now. Smart FBA sellers take the time to evaluate the prices on their items to make sure they are priced to sell quickly and maximize profits. 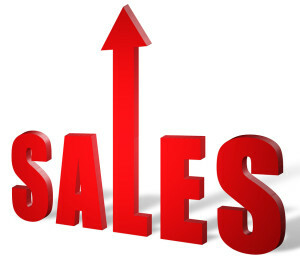 Repricing your inventory on a somewhat regular basis in order to keep prices competitive is a wise business decision. As you think about pricing strategies, you’ll soon learn that repricing doesn’t always mean lowering your price, but can often mean raising your price. We’ll talk more about repricing strategies later this week. Now, let’s go over how to reprice your items manually. Use the image below to see a visual representation of each step. 3. On the filters row be sure that only the “Active” option is selected. This will show you what items are currently in stock (no need to reprice something you don’t have in stock anymore). 4. The default setting is to sort your inventory by Date Created, but you can change that to however you want to sort your inventory (by product name, SKU, quality available, quantity inbound, quantity reserved, and your price). 5. In this list, Amazon provides you with the current low price + shipping for each item, but be very careful with this information. Don’t just automatically click on the “Match price” option. Sometimes Amazon will give you the lowest used price even if you are selling a new item. It’s always best to open up the individual item’s product page to see for yourself what the current buy box price is, as well as what the competition is selling that item for, and then decide for yourself how you want to price your item. A quick click on the ASIN/UPC link will open up the Amazon product page where you can get all the info you need to reprice wisely. Note: If you see a little check mark in the “Low Price” column, that means that you have the current lowest price. 6. If you’re looking to reprice a specific item, you can search for that item in the search bar located near the top left of the screen. You can search by product name, MSKU, ASIN, UPC, FNSKU or ISBN. 7. Under the “Your Price” column, you’ll see a column of boxes where you can update the price of the items you wish to reprice. 8. Simply type in the new price you want. The price box will be outlined in a yellow/orange glow indicating that you have updated the price, but have not submitted it to Amazon yet. 9. Submit your new prices to Amazon. You can either do a hard return in the price text box, click the save button on that item’s line, or you can wait until you are done updating prices on select items on the page, and then click the “Save” button on the top of the Save All column. Once submitted, it takes only a few minutes for Amazon to update the prices for your items. There you have it. You are now equipped with the skills to reprice your Amazon inventory. Keeping your prices current and competitive is a key component to a successful and profitable Amazon business. In our next blog post, I’ll share with you my 6 most profitable repricing strategies. Comment below if you have any questions about repricing. I’d love to help you in any way that I can. Why reprice manually when you can automate repricing? 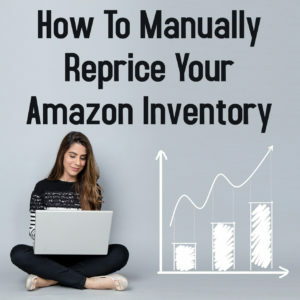 Manually repricing is great when you have lower inventory levels and can handle repricing from time to time, but once your inventory levels start to get larger, you might want to consider using an automatic repricer like BQool. We started using the BQool automatic repricer service in September of 2018, and now we wonder how we ever ran our Amazon business without it. If you’re wondering how well BQool works, just know that for the first month of using Bqool, our sales literally doubled. Not only that, but BQool syncs with our InventoryLab account and automatically imports my buy costs. This is a huge time saver. For a 2-week free trial of Bqool, click here. Free BQool Bonus – If you sign up for BQool via the link above, then I’ll send you my own personal BQool repricer settings that helped me double my sales the first month of using it. Just contact me from the same email you used to sign up for BQool (so I can verify your free trial) and once verified, I’ll send you my personal BQool repricer settings. Instead of only referencing the lowest price you should consider referencing the buy box price AND lowest price. much more useful because you really only want to be at a price that can get the buy box, rather than just the lowest price. Yes, Barbara… it’s very important to look at the current buy box as well as the lowest price when repricing. I’ll talk a lot more about profitable repricing strategies in the next blog post. Look for that post Thursday morning! great idea, useful. thanks barbara and Stephen. I do things manually like you demonstrated in this post because I refuse to add another monthly fee to my operating costs just so I can use a repricing service. If you’ve used a repricing service, how does it compare versus doing things manually? Does a repricing service take lowest prices and who has the buy box into consideration? Yolanda, I have not used any repricer service to this date. Some people don’t like giving up control of pricing to a repricer while others don’t want another fee to pay per month. For me, repricing manually let’s me be more aware of the pulse of my inventory, and lets me make better buying decisions in the future. I also love increasing the prices of some of my items while repricing manually. From what I can tell, most repricing systems do include an algorithm to help you win the buy box, but I don’t know much more about it. I’m going to look into reprising systems someday and blog about what I find. All I want to know is how does one simply just reprice something that you haven’t yet sent to Amazon. That’s all I’ve been trying to find an answer to online for many hours over the last two days. I can’t find any info/answers on how to do this one otherwise simple-seeming task. I can’t believe all the trouble and time I’ve wasted just trying to get things together and ready for FBA. It’s getting close to a month now of all the prep and trying to figure things out on my own (which I really can’t, even with searching YouTube, search engines, and sending inquiries to Amazon. So, Kelley, you want to reprice something that you haven’t yet sent to Amazon yet? Open up a ticket with Amazon help and tell them the item’s MSKU (Merchant SKU), and ask them to reprice it to the price you want. If they can’t do it, then they should be able to tell you how. Hope this helps! From Seller Central, go to Inventory > Manage FBA Inventory. Find your item and enter the desired price into the Price box, then click on Submit Prices (right hand side). Note: If your item has not yet been sent to Amazon or is en route, you must do this from the “Manage FBA Inventory” page. Once it has been checked and is Active, you may change the price from either the Manage Inventory or Manage FBA Inventory screen. Even though I am all FBA, I seldom venture onto the Manage FBA Inventory page, so it is quite easy to overlook. Hope that helps! I’m new to FBA. Reselling, selling – period. I never sold a thing in my life – online or off. I even kept my first Jeep because I was too scared of selling it (had a guy look at it and tried to low-ball me and that turned me off to selling it altogether). So now I have two Jeeps, which is okay, my daughter loves the older one and it’ll be her first car when she begins driving this year. But I sent my first batch in last week, and sold a toy. Two days later a book (high-priced one). Yesterday I sold my first board game (and made about $42 in profit on it). Today, I had multiple sales, but I think it was because I went and looked at what everyone else was selling the same items for so I lowered a couple prices to be in the middle of the field on those items. I didn’t lower prices to be the cheapest – just to be in the middle of the pack instead of on the higher end. Stephen’s theories are correct, they are working for me. Thank you, Stephen, you helped me take a $2 board game and turn it into over a $50 sale! I would’ve never even known about these things if it wasn’t for you! Your instruction and knowledge has had a great effect on me! Thank you! Hi Stephen, I’m in the beginning stages of deciding if I can make a living selling online. I’m kicking my tail for having recently donated 5 large boxes of excellent condition books to the local thrift store when apparently I could’ve made some money on them! I do still have tons of other books I can start out with to test the waters on online selling. Can you advise me on where to start? I have bought tons of books from amazon but never sold online. Thank you for your help. Biff, how in the world did you sell a $2 board game for $50? Is it really possible to make money selling things in my attic online? Thank to everyone for sharing. I’m getting excited about the possibilities. Here is a book where I share how I do this all the time: http://www.fulltimefba.com/boardgames. Don’t feel bad. Last year, I cleaned out my house, threw away so many things that were valuable, had no idea about Amazon or ebay at the time. All you can do is start from the point you are at now and move forward. As far as board games, there are tons of them that sell. I bought two games from a garage sale last weekend, Axis and Allies and Harry Potter (some moving tree game). Both already sold on ebay. (Harry Potter was $15 + shipping and 70 + shipping for the other one). so after ebay fees, they brought me about $70. Investment was $4 ($2 each game). They sell on Amazon and eBay very well. If you are in the beginning stages, just take the first step and open an ebay selling account – the first month, you can list five items. Watch a few videos on how to ship, and how to price. Use that month to get familiar with ebay and Amazon (eBay is the easier of the two to learn). When you make a few sales – it will happen – see how you feel about moving forward at that point. It took me a bit, I didn’t sell anything on eBay the first 30 days, then when I called them to raise my selling limits on the 30th day, things began to sell. Now I’m selling at least one item every day and more on other days. On Amazon, watch how-to videos on youtube and get familiar with the process (Amazon is much more stringent on their process than ebay – education is the key to Amazon), but Amazon can make better money. Start the easy route, get a selling account on ebay and while you are in your first month, keep watching youtube videos to learn both Amazon and eBay. (small note – stick to the basic beginner’s videos, as much as you want to sell a ton of stuff, they key to everything is getting the selling and shipping process correct). All my inventory is fbm, but I am thinking of using fba for some items. The steps in this blog post tell you how to reprice your inventory – both FBM and FBA inventory. FBM and FBA items have different MSKUs so you can still have one price for your FBM item and another price for your FBA item. When you reprice is totally up to you. Usually it’s good to reprice as we get deeper into Q4 and maybe raise your price. If you have long term storage fees coming, then that’s a good time to reprice the items that might get charged the long term storage fee if not sold in time. When you’re ready to try an automatic repricer, I suggest looking into this service: http://www.fulltimefba.com/bqool. Hope this helps! I am new but I have some things that I first sent in and I repriced them just by a few cents each and one of them sold ! I couldn’t believe it ! I’m like it works .. thanks for all you do Stephen Smotherman! I definitely wouldn’t be doing as well as I am without your advice ! I am very hopeful one day I will be able to quit my factory job next year ! I am so excited !